Amanda Habel, of Huntley, Il, laughes at her daughter's, Mia, response to Santa Clause at the Santa House in downtown Crystal Lake,Il. Sunday December 22,2013 " I want everything," said Mia when Santa asked what she wanted for Chirstmas. The Habel's have been going to the Santa House the past three years. 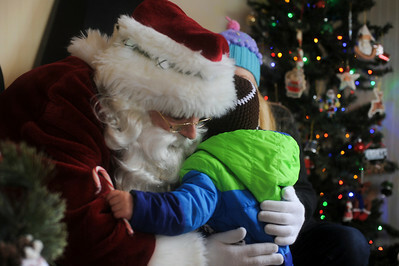 Santa Clause hugs Cayden Rippentrop,2, of Crystal Lake, Il., at the Santa House in downtown Crystal Lake,Il. after spending the day visiting with children Sunday December 22,2013 . The house, which opened in 2008, is open every weekend starting the week after Thanksgiving until the December 23rd. 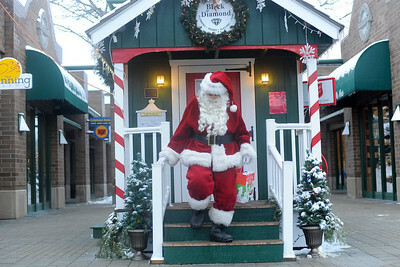 Santa Clause closes up the Santa House in downtown Crystal Lake,Il. after spending the day visiting with children Sunday December 22,2013 . The house, which opened in 2008, is open every weekend starting the week after Thanksgiving until the December 23rd. Ella Ziemba,5, of Crystal Lake,Il. 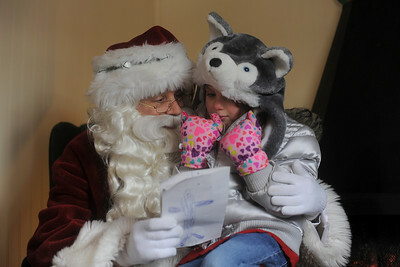 talks to Santa Clause about her list at the Santa House in downtown Crystal Lake,Il. after spending the day visiting with children Sunday December 22,2013 . " I was scared at first but then I wasn't,"said Ziemba about meeting Santa Clause. 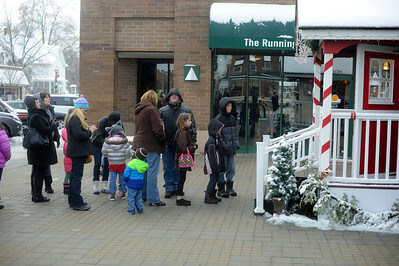 People wait in line in front Santa House in downtown Crystal Lake,Il. on Sunday December 22,2013 . People waited between 30-40 minutes in line to meet Santa. The house, which opened in 2008, is open every weekend starting the week after Thanksgiving until the December 23rd.